In a satellite image acquired from the Australian Bureau of Meteorology, Cyclone Trevor moves over the Northern Territory on Tuesday, March 19, 2019. A pair of fierce tropical cyclones—Cyclone Trevor and Cyclone Veronica—are poised to strike Australia on two coasts within a day of each other, prompting mass evacuations as well as official warnings of severe and dangerous weather. A state of emergency was declared in Australia’s Northern Territory this week ahead of Trevor’s second landfall early Saturday. As the cyclone moved through the Gulf of Carpentaria, the Northern Territory saw its largest evacuation since 1974 during Cyclone Tracy, according to ABC News Australia. Thousands of people were reportedly evacuated from areas that lay in Trevor’s path. ABC News reported that some residents of the region, including those on the island Groote Eylandt and the coastal town of Borroloola, had to be airlifted to safety. The cyclone first made landfall on the Cape York Peninsula earlier this week, which according to the Washington Post resulted in flooding and other destruction in the area. 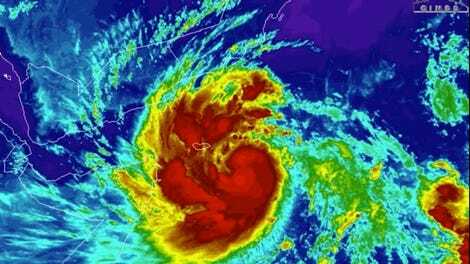 The force of the cyclone’s first landfall was reportedly equivalent to that of a Category 3 hurricane. 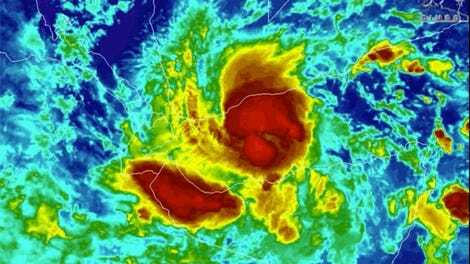 The Bureau of Meteorology Northern Territory said Saturday that Cyclone Trevor had been downgraded to a tropical low system, but added that it would be delivering “dangerous conditions” and “severe weather” as it moved further inland. 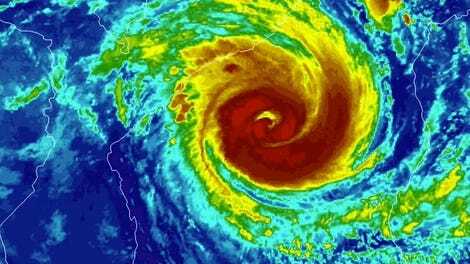 Tropical Cyclone Veronica, meanwhile, was nearing Western Australia’s Pilbara coast as of Sunday morning local time, bringing with it powerful and destructive winds and prompting safety warnings from the Bureau of Meteorology. 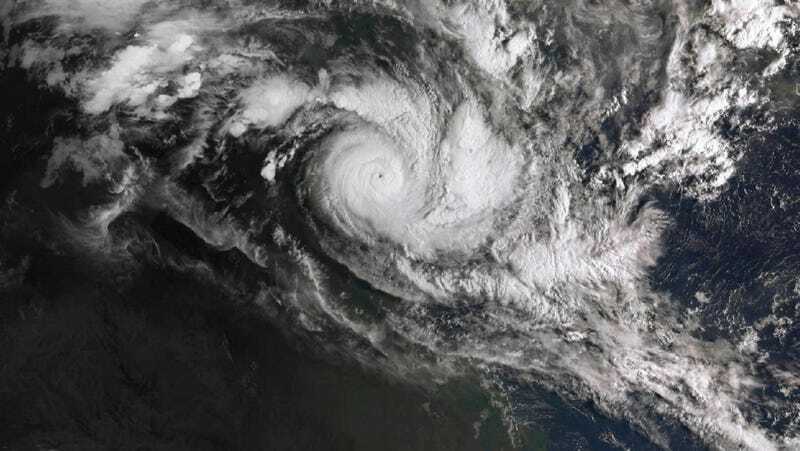 The government agency said it’s been more than four years since twin cyclones have pummeled Australia at once, with the last event occurring in 2015 with Cyclones Marcia and Lam. As the Washington Post noted, the pair of cyclones arrives as Australia recently experienced its hottest summer on record with a mean national temperature average of 30.8 degrees Celcius in January. As the paper noted, surrounding sea waters saw above normal surface temperatures, a recipe for brewing tropical storms.